A clear, concise guide to the basics of the mentoring process. Debut author Gundlapalli, the founder of MentorCloud, a “peer-to-peer learning and mentoring platform,” presents an overview of his field from the perspectives of both the mentor and mentee. His description of these two terms is as straightforward as the rest of the book: “A mentor is someone who ‘cares and shares.’ A mentee is someone who ‘trusts and acts.’ ” The book begins by addressing some common myths about mentoring, including the misconception that mentees are the only ones to benefit from the experience. 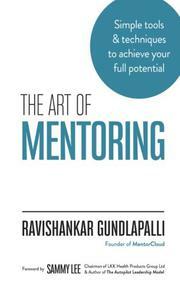 Gundlapalli debunks this idea by making an impassioned case that frames mentoring not just as a way to help others, but also to gain “real validation for your knowledge.” This theme recurs in the book’s most prominent chapter, in which the author shares 14 “core traits” of good mentors, such as “Identify and amplify strengths” and “Listen without being judgmental.” Some of these are more obvious than others, but the author describes them all in appropriate detail. Gundlapalli enhances the work with accounts of his own experiences and others’; in several cases, he illustrates his own role as a mentee, demonstrating how readers may assume each role at different points in their lives. A separate, similar chapter, which lists and describes six habits of good mentees, is less comprehensive, including such traits as “Trust and take action” and “Provide regular updates.” Some of these will strike readers as simply common sense, but they can still be of use to those seeking to make their time with a mentor as productive as possible. Also of value is the author’s “4-step process” for connecting with the right advisers. Readers won’t learn very much that’s new or different about mentoring here. But Gundlapalli is highly knowledgeable about his subject, and his writing style is personal, informal, and engaging throughout. The examples he provides are always relevant, and he augments the text with illustrations and inspirational sayings, including several by Napkinsights. An often engaging work that will serve as a useful primer for students or midlevel business managers who might be unfamiliar with the nuances of the mentor-mentee relationship.